SNK has officially revealed 5 of its planned 10 free DLC titles for the upcoming SNK 40th Anniversary Collection on Nintendo Switch. Releasing in November, this collection will feature 13 classic SNK titles and a special “Museum Mode”. The additional 10 DLC titles will be released in bundles (2 bundles, 5 titles each) for free starting December 11, 2018. The five announced DLC titles will include Munch Mobile, Fantasy, Sasuke vs. Commander, Chopper I, and Time Soldiers. All five are classic, SNK arcade titles and include a nice mix of different play-styles. 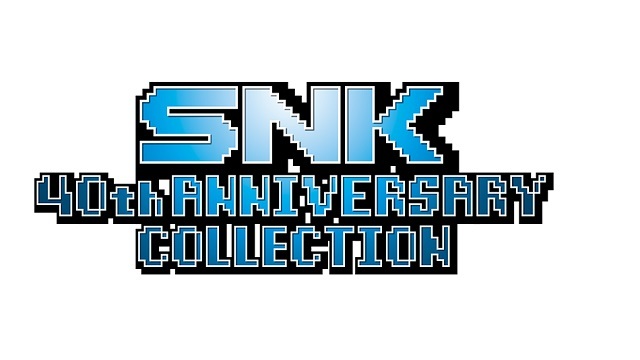 SNK 40th Anniversary Collection will launch exclusively on Nintendo Switch on 11/13/2018 in the US. It will release 3 days later in Europe and 10 days later in Australia/New Zealand. For more information on the game itself, please check out one of our previous articles. Alternatively, you can also visit the game’s official website. A mainframe software developer from the Midwest, Nick found oprainfall while searching for information about Xenoblade Chronicles. Nick collects games across a myriad of different platforms (old and new). He's also passionate about old-school anime spanning from the early 80s through the late 90s.